12’ x 12’ with mitered corner. 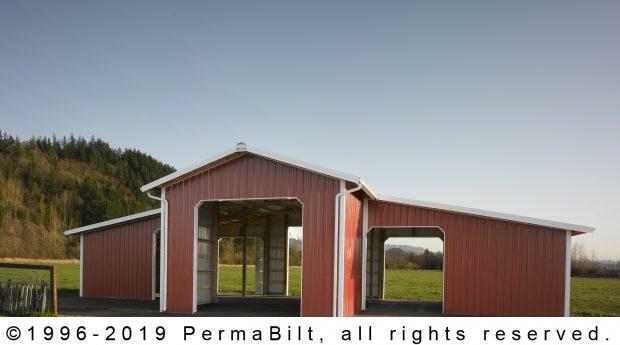 Throughout western Washington, we have built thousands of horse barns having been in the post frame pole building construction business since 197 3. So when an Enumclaw Washington farmer came to us with a special need for his red horse pole barn, he knew that PermaBilt had the experience and know-how in customize his barn. In raising two types of cattle, each type of cow had certain special needs including feed. 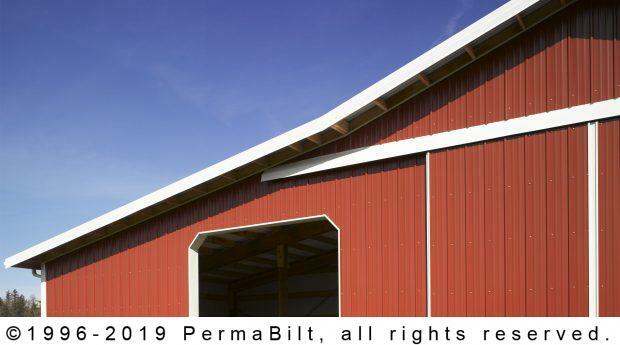 So when sitting down with his PermaBilt® Building Representative and working on his design, our customer wanted one side of his barn accessible to one type of cattle and the other side of the barn accessible to the other type of cattle. In the middle, room was needed for a tractor and other equipment storage to maintain the farm. The farmer had budget constraints but was adamant with his vision. So our Rep listened and listened and listened always trying to fit the customer’s vision into his budget until they came up with a solution that the customer was satisfied with. The result was a barn (and a fence system) that completely separated his livestock. 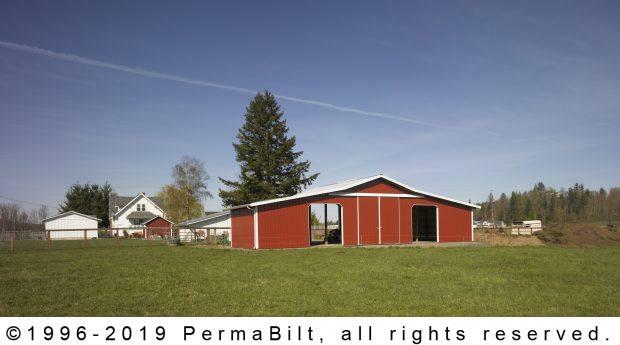 Complete with split siding doors, framed openings, ridge vents so important for ventilation, overhangs and gutters protecting the barn from the incessant rains of the Northwest and the classic brick red color, our customer was so happy he asked us to construct his next building.